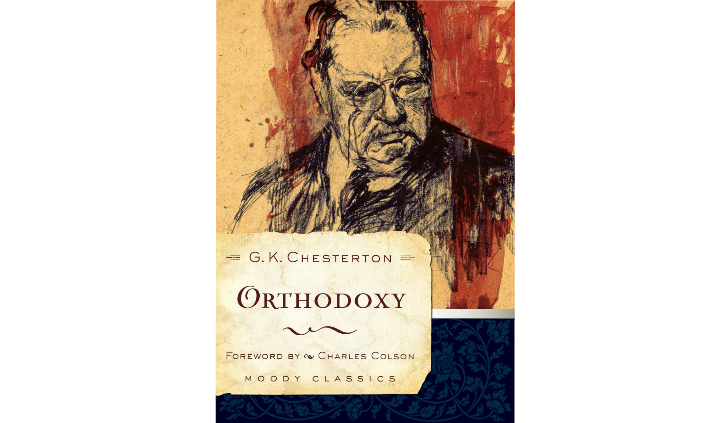 There is perhaps no better place to begin delving into the treasury of lucid wit that is G.K. Chesterton than with his intimidatingly-named book Orthodoxy. Indeed, for myself personally there are few books to which I am more indebted than Chesterton’s Orthodoxy. I might say with some certainty that it is the book which spurned me to think critically about my faith, to delve more deeply into the boundless pool that is theology. The book is what one might call the second in a series, preceded by Heretics. The former was formed as a rebuttal to all the popular thinkers of Chesterton’s day, and having been criticized for not having offered a positive alternative he set out to write Orthodoxy. When he comes around to discussing Christianity one cannot pin down any overarching epiphany due to which Chesterton accepts Christianity, for the reason that it isn’t any one reason. Rather, it is a vast accumulation of reasons. That Christianity possess the unique ability to discern ‘illogical truths; that the monstrous divergence between man and animal is in need of an explanation; that Christianity is capable of balancing seemingly opposing forces, and that it is this balancing (as opposed to a compromising) of these opposing forces which sets it above the rest – what might be called the paradoxes of Christianity. It is not a truth, but a truth-telling thing. The book as a whole is a trailing portrayal of a journey through everything that is wrong with the world to the discovery of that which is true. In outlining his reasons for Christianity he simultaneously refutes almost every heresy and opposing view imaginable, yet he does so with the whim of common sense rather than a strict logic – chiefly that the mistake of the opposing views can be seen either in their suicide of thought or the manifest mistake of their entire lives (ie, skepticism stops thought, while pantheism stops love). The text is at once fun and challenging, touching the depths of philosophy and theology while maintaining the common sense air for which Chesterton is so well known. The first point that readers of this book should keep in mind is not so much a criticism as a word of warning regarding Chesterton’s seemingly blind hostility towards all things Puritan. It should be noted that whenever Chesterton uses the terms ‘Puritan’, ‘Calvinistic’ etc, in his work they are rarely in reference to any system of thought but serve rather as general epitaphs for anything dealing with determinism. He doesn’t seem to actually show an understanding of Calvinistic thought but boils the entire argument down to a dichotomy against free will. If I had to venture a guess it seems that Chesterton’s harshness towards Calvinism is an overflow of his hostility towards materialism and the determinism of Marx and the like, the view of a completely mechanical universe and man which pervaded the thought of his time. In ridding himself of deterministic materialism he threw out all things which gave the slightest hint of it’s notions, which for him meant that Calvinism had to go to. That word of warning given, the only thing close to a criticism of this text would be the Protestant one – which the Catholic reader is naturally free to dispense with – in that in Chesterton’s outlining of orthodoxy, he seems to be chiefly outlining and promoting Christianity as a life-philosophy. It impacts his life in that it is the only sensible option, but there isn’t the slightest hint of gospel within Chesterton’s orthodoxy. He makes an excellent argument for Christianity as the philosophically, theologically, and practically correct choice ; he accounts for it being the best way for man to live bodily, but offers little for his soul. While it is full of the truth of Christianity, the gospel is simply absent from Chesterton’s worldview. Chesterton has all the ideas, but he lacks the event. I guess this might be indicative of his Catholicism, or at least his Thomism, where the fall of man is more of an intellectual problem than it is an spiritual/sinful one of the will. A good review my friend! I have a copy of his book on Thomas Aquinas. I have a few others I wanted to knock off of my list first. I will look out for a review of it, that is, if you care to write a review on that one.